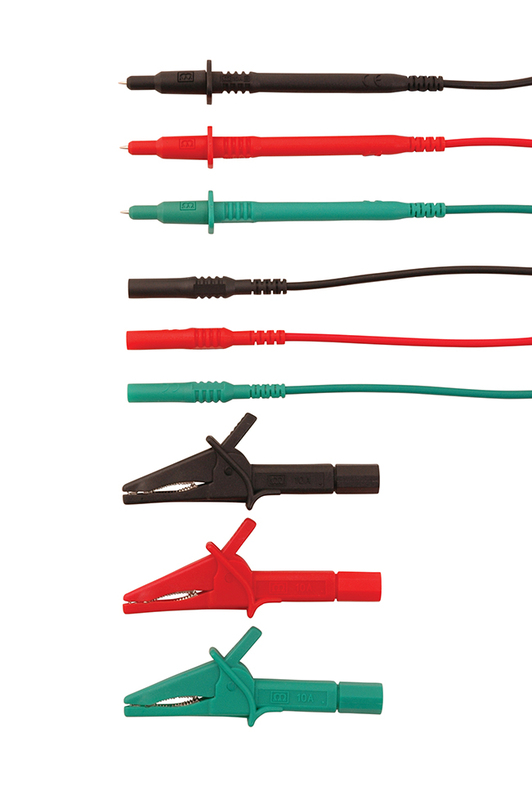 Set of 3 unfused test leads with crocodile clips. Test probes feature a lantern tip, with cover. Terminated with a standard 4mm banana socket, compatible with the Martindale Veritest series and other manufacturers multifunction testers.